Denise Newman’s fourth poetry collection is Future People. She is the translator of Azorno and The Painted Room, both by the late Danish poet, Inger Christensen, and Baboon by Naja Marie Aidt, which won the 2015 PEN Translation Award. 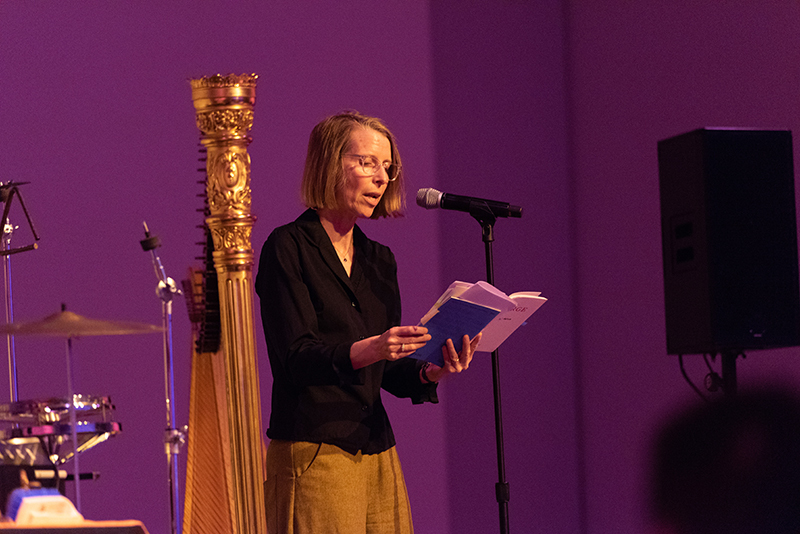 Newman is also involved in video, installation and social practice projects that explore language and poetics, and for many years she has collaborated with composers providing lyrics for choral works and songs. She has received a Creative Work Fund grant and an NEA Fellowship in Translation. She teaches at the California College of the Arts.